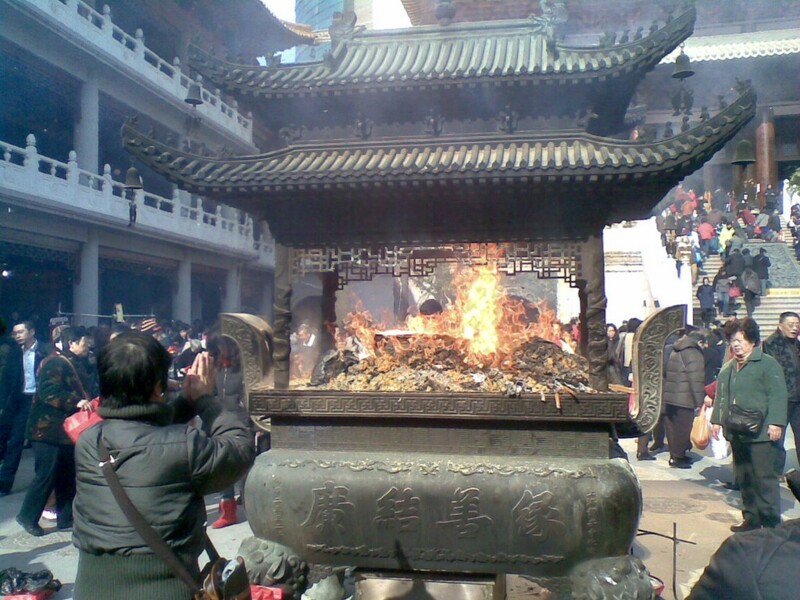 The Cultural Revolution over 30 years ago destroyed much of China’s houses of worship, and along with it, religious faith. But during the past two decades, religious belief has staged a major come-back as people realize the limits of material pursuits. Buddhist temples around the country flourished with both people and money flooding through their gates. 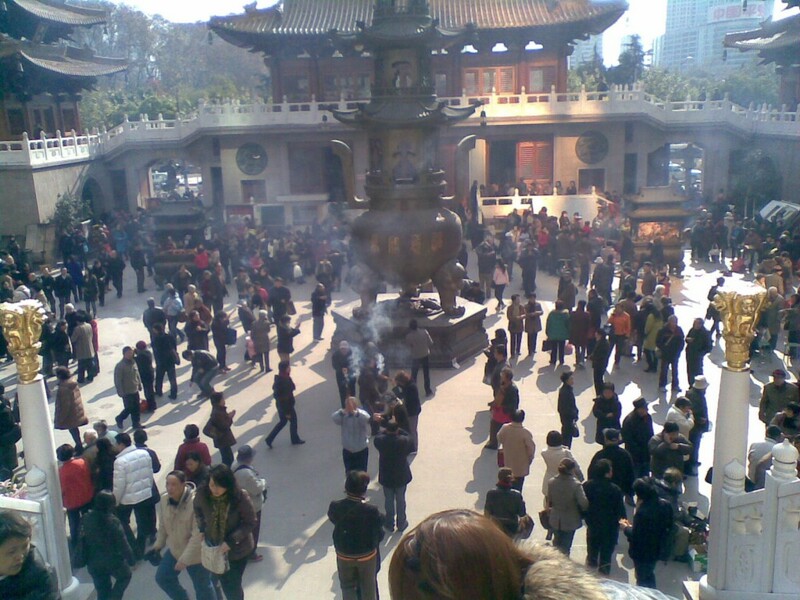 Jing An Temple, or Temple of Peace and Tranquility, is located in the center of Shanghai. Last rebuilt around the 1800s, the temple has transformed from a modest looking structure to a most splendid palace with gold decorations in recent years. Several years ago, I bought a ticket for $3 to see it. I was one of a few people there. But what I saw this time at the temple is nothing peaceful nor tranquil. 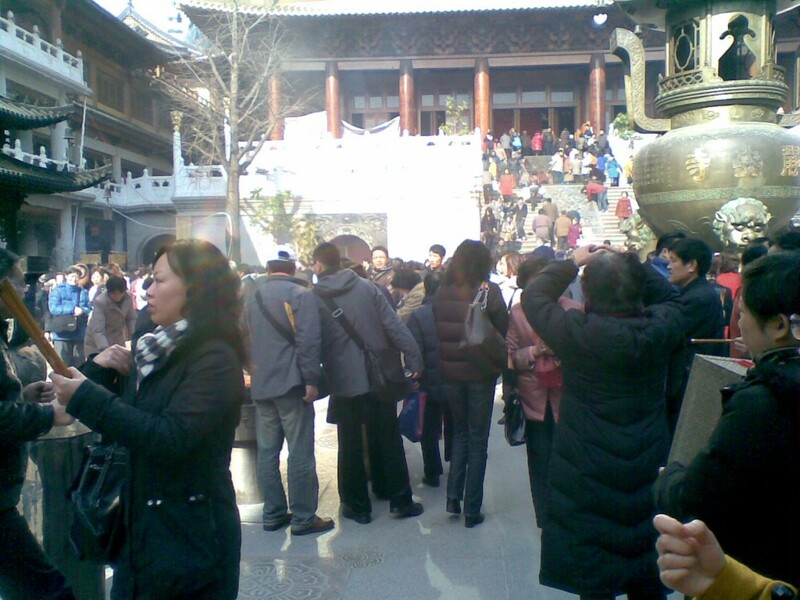 During the early days of China’s reform, the most crowded and lively places were free markets. Thirty years later, people’s zeal seems to have transferred from markets to temples. The line to buy incense is very long. 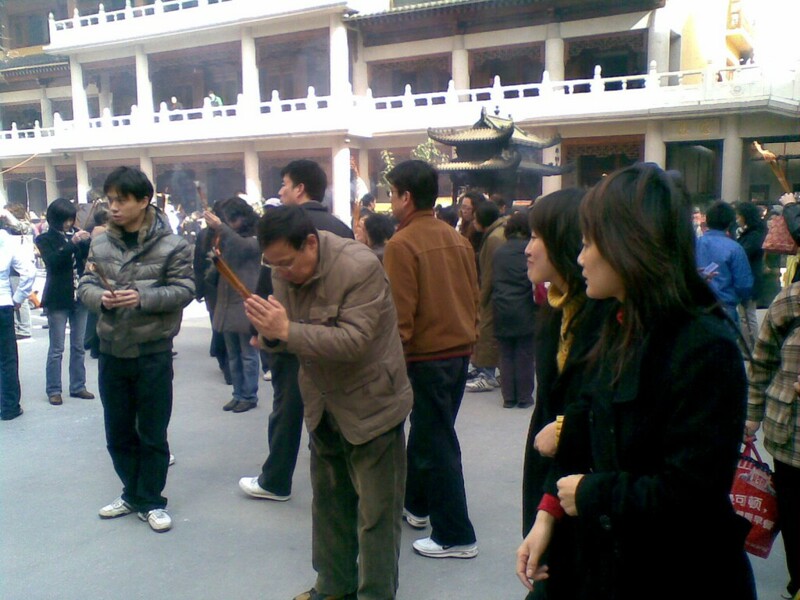 As people everywhere are burning incense and bowing, you have to be careful walking through. This is a new practice that I have not seen before. 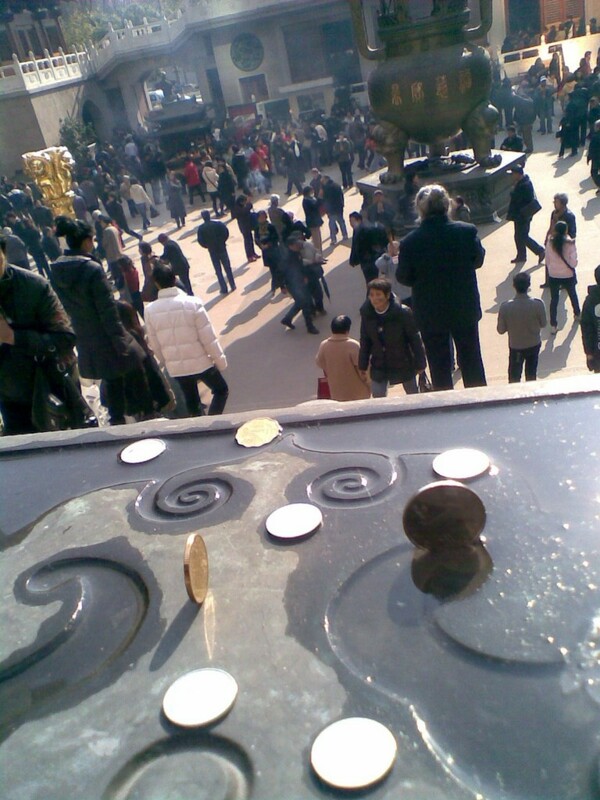 People throw coins onto the engravings to see if the coins will be caught somewhere in the nooks. 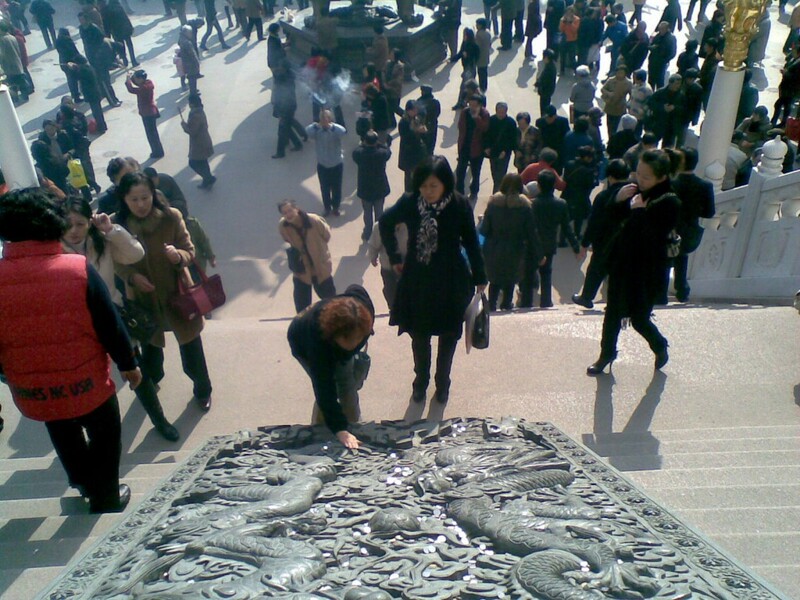 If the coins are caught, it will bring the person good luck. For the temple, it is the most fortunate practice as large sums of money are collected this way everyday. There is an old man who uses a big magnet tied to a stick to collect the coins. People also try to make coins “stand” on top of the engravings. A standing coin also brings good luck.